big comfortable apartment, pretty old but clean and good. the terrace view is gorgeous. It’s in a beautiful location, the balcony view is absolutely stunning. The view, really the view was wonderful. The walk to the earth pyramides only 10 minutes from the house. Just a 100 meters up the road, follow the walking track signs "24", crossing between two farms and fully safe, so no next to heavily roads walking. A faulty hob on the stove which caused short circuit was immediately replaced the first working day. Nice to know you can swim and take a sauna at Hotel Spögler, the same place you pick up the key. 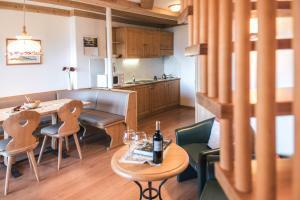 The apartment is very large and completely equipped, simple and functional design. You'll find a folder with useful information about touring and transportation in the area. We loved it there. The apartment is well done with fine wood work, and looks beautiful from inside. 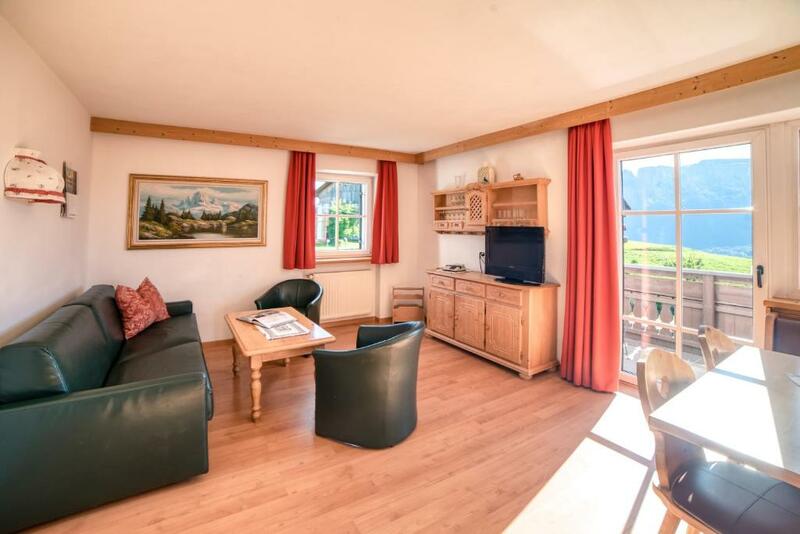 The balconies with the view of dolomites add to the beauty of the apartment. The location is very serene. 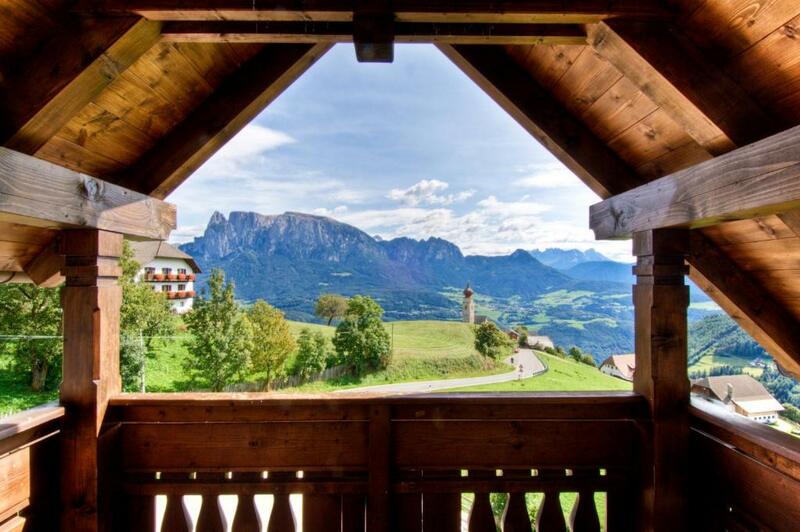 Its right in the middle of dolomites with a splendid view of the mountain. Vista camera. Posizione. Riscaldamento. Spazio per auto. 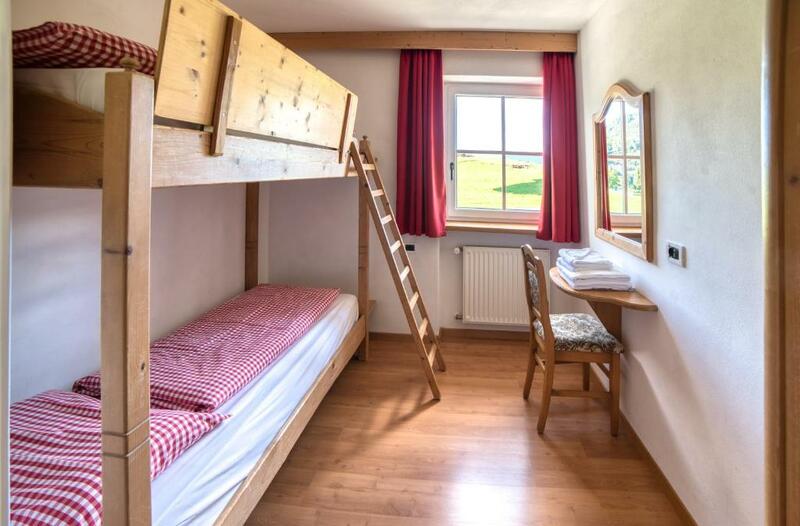 Molto bello l'appartamento... Accogliente e comodo anche con gli amici a 4 zampe. Panorama mozzafiato. Piuttosto vicino all'impianto di risalita, a un minuto dalle meravigliose piramidi di terra. 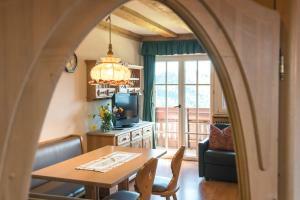 Lock in a great price for Residenz am Kaiserweg – rated 8.2 by recent guests! The family-run Kaiserweg features South Tyrolean apartments overlooking the Dolomites. Located in Renon, it offers free private parking. Bolzano is 12 mi away. The residence has a garden and a small public café on the ground floor. 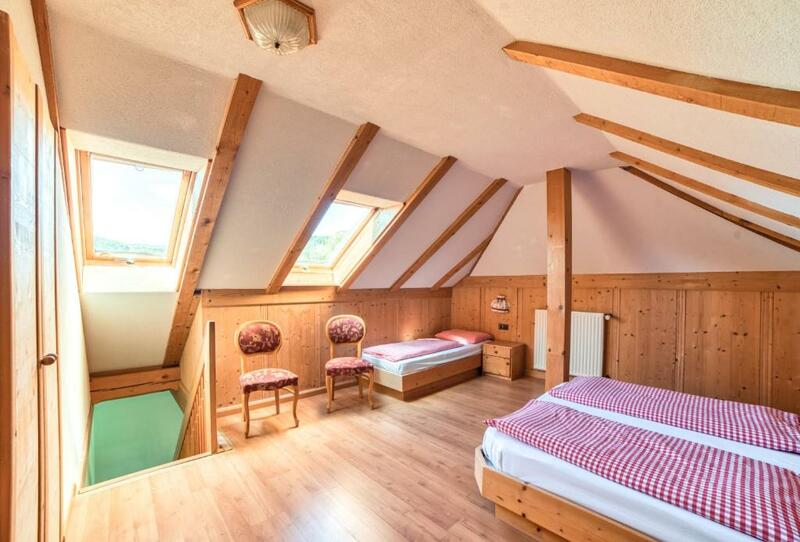 Guests have free access to the pool and sauna of the Sporthotel Spoegler, located 1.6 mi away from the property. 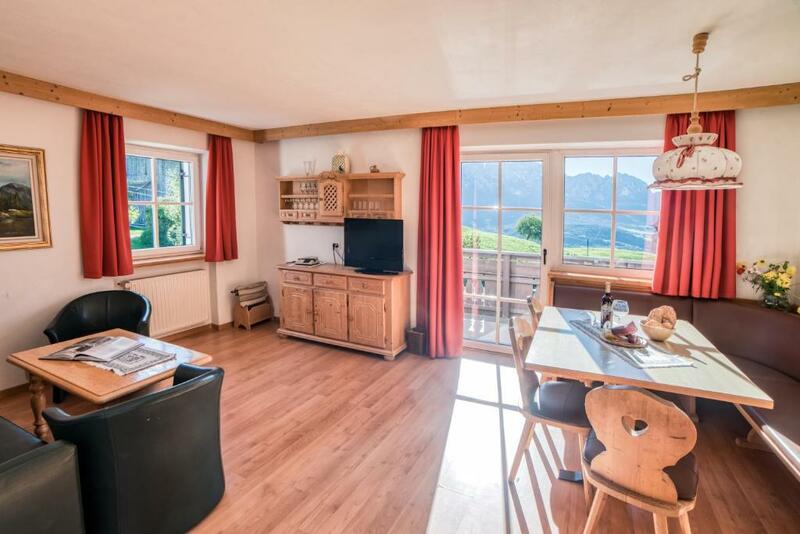 The Rittner Horn ski slopes are 5.6 mi from the Residenz am Kaiserweg, and you can buy ski passes at reception at a discounted price. 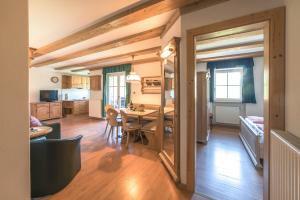 When would you like to stay at Residenz am Kaiserweg? This apartment featuring mountain views, comes with a satellite flat-screen TV and an equipped kitchenette. It includes wooden furnishings, and laminate floors. Apartment has either a balcony or terrace. House Rules Residenz am Kaiserweg takes special requests – add in the next step! ATM card Residenz am Kaiserweg accepts these cards and reserves the right to temporarily hold an amount prior to arrival. Residenz am Kaiserweg accepts these cards and reserves the right to temporarily hold an amount prior to arrival. Please note that check-in and key collection take place at: Sporthotel Spögler, Lengmoos 21, Ritten 39054 . Location and the staff were amazing. You have to check in and check out and pick up your keys on another place. The heat wasn’t working properly and the room was too hot. Even after adjusting the thermostat, the room stayed too hot. The rooms smelled like cigarette especially at night. We had to sleep with the balcony door open. I contacted the front desk about the smoking issue but nothing was done about it. Bad WIFI which they claimed was due to the thunderstorms they had a few nights in a row. Looking at other peoples feedback it has been troublesome for a long time. You smell the cows but do not see them. Our noses had to get adjusted to the smell of a stable a few days caused by neighboring farms. Walking distance 30 minutes to the bakery which was amazing. Strangely the people who live at Am Kaisersweg are not familiar with the perfect tracks around. Unless your teenagers like to walk with you every day there isn't much to do for them around. The region is primarily visited by the above 50-ties and some families with smaller children. Not being used to the hairpin curves (from Bolzano up) could be a challenge. The whole region seems to be outdated. The vibrant city centre of Bolzano lives, but all restaurants in the area of Renon seemed to be abandoned. Check in and out is done in a different location, a few minutes drive away. No air conditioning. The overall service is below expectations: - First you need to travel 2 kms up the hill to their partner hotel to collect the keys of the apartment, and the hotel reception doesn't know if the apartment is ready or not. So it makes it highly inconvenient to collect the keys and come down 2 kms to check if the apartment is ready for check in. If it is not, then there's no place to wait in there !! - There's suppose to be an attendant in the apartment area, but, you can't find him. So if you need some kind of help (e.g. hot water not available, or an extra towel), there's none available. The phone connection doesn't work - The infrastructure in the apartment not so good. The heater in the rooms were not working at night. There was no hot water (very mild warm, but, that's not enough when the temperature outside is below zero). There's no oven in the apartment, no detergent to clean dishes, no toileteries etc. The TV remote doesn't work. Ofcourse, you can't call some one to attend to these as there's no help available. Overall the experience of living in a beautiful location gets compromised because of these issues.